167 full working days vehicle down time each year! When a high sophisticated and cost intensive automatic sand filling system is used, all eight sanders of a vehicle (typical configuration) can be filled at a time. With this, the filling time can be reduced to “only” 21 full working days each year. This vast amount of time creates not only cost for the involved labour but is also cost intensive vehicle down time. Compared to this, the labour required for preventive maintenance, corrective maintenance and overhaul of the sanding system, pales into insignificance. 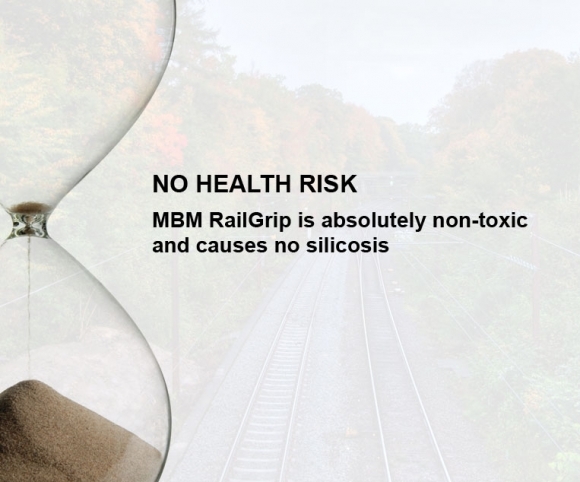 Changing to „MBM RailGrip“ can reduce filling time of a complete fleet down to 10%!! 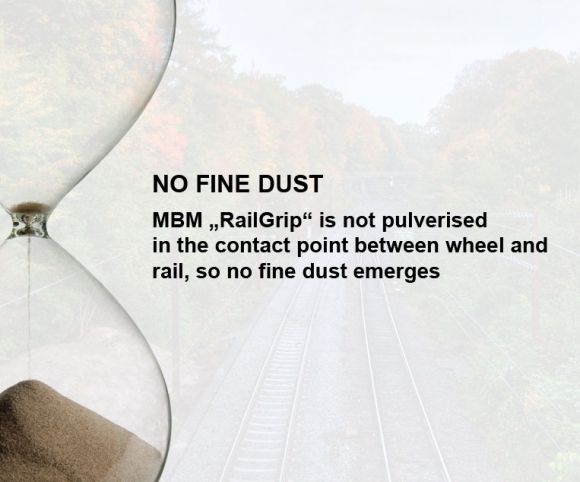 It has been shown by full scale LRV testing that only approx. 10% of the usual volume of natural sand is required for a comparable increase in friction and reduction in stopping distance. 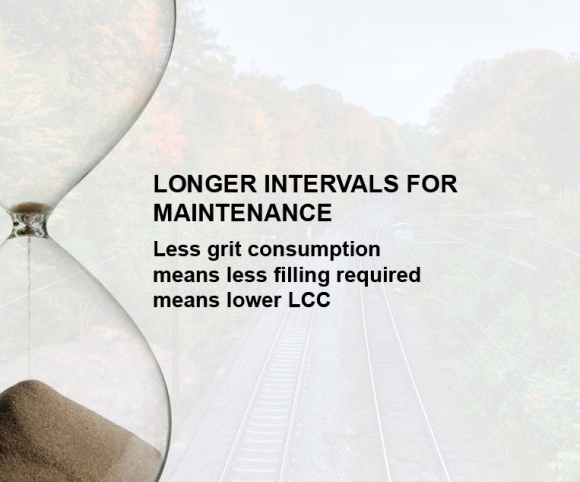 With this single measure the overall maintenance time of the sanding system – filling and actual maintenance combined – can be cut down to approximately 10% compared to the use of natural sand! LCC savings as simple as possible!